Asheville area women training to become doulas. Photo courtesy of the Mountain Area Health Education Center. There are many rewarding aspects of my job. One that is particularly gratifying is that I have the privilege of serving as chairman of the independent Blue Cross NC Foundation, which to date has invested more than $133 million into North Carolina communities since its founding in 2000. In this role, I have the opportunity to gain even more insight into the health challenges facing our state, as well as the efforts on the ground to tackle these challenges head-on. This is no more evident than in what I see with the Foundation’s Community-Centered Health work, which I am pleased to share is expanding. Community-Centered Health is built on the premise that good health isn’t reliant on what happens inside the health care system. In reality, social determinants – from access to food, safe housing, transportation, childhood development, and more – are where real gains can be made in improving health. It targets the systems and policies that surround these non-medical drivers of health, focusing on inequities and the disproportionate impact of these factors on the health of people of color, those with limited financial resources, and those living in rural communities. And, true to its name, community is at the heart of Community-Centered Health. This means that community members – particularly those who are experiencing the conditions that lead to poor health first hand – are not only consulted, they are also helping lead the work. Above all, Community-Centered Health works. It is working because of the commitment of those in the communities we are supporting; the commitment of residents to take action; the commitment of city officials to direct resources into neighborhoods that have not previously benefited; the commitment of health care providers to listen to their patients; and the commitment of all to take a new approach, to upend power structures, to show up differently, and to question the status quo. In the Cottage Grove neighborhood outside of Greensboro, a partnership between the health system, local university, housing coalition, and residents is combating alarmingly high asthma rates through housing improvements called for by neighborhood residents. PBS visited Cottage Grove in December to chronicle this work. In Gastonia, community members, working in partnership with a health clinic and others, are united around efforts to drive civic engagement and investment, resulting in nearly $2 million in infrastructure funding from the city to increase access to parks and health services. This includes simple, yet essential, things such as lighting and restrooms in the city park. And in Asheville, a group of women – who themselves were marginalized by a health care system that didn’t reflect them or their experiences – have trained to become doulas to support the women of their neighborhood and to face racial disparities in infant mortality head-on. 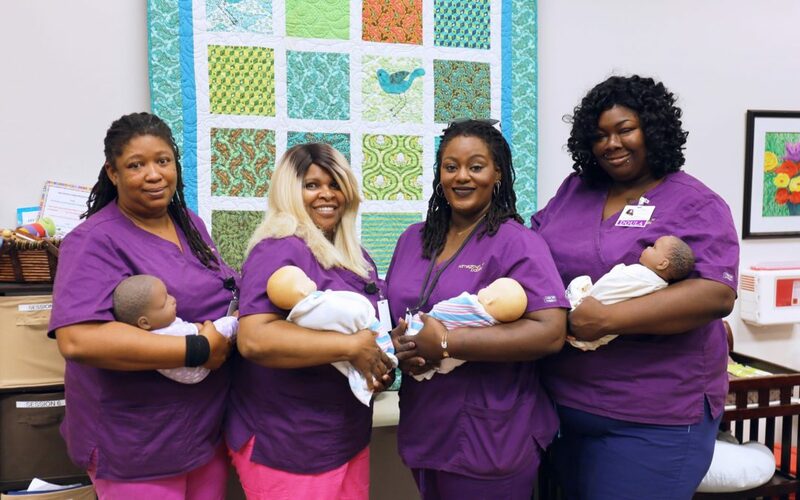 These doulas are now employed by a local OB/GYN practice and their influence is shaping not only the birth experience for women whose babies are at risk for higher mortality, but also the policies and practices in the health care system overall. Throughout my career, I have had the great fortune of seeing many promising approaches to improving health. And I think this approach – where health is looked at as a product of the environment, where inequities are called out and addressed, and where community members are working in tandem with clinical providers to address the root causes of poor health – truly has game-changing potential. And changing the game needs to be a priority. We are standing at the gateway for real opportunity here in North Carolina. When communities are supported with the resources, the encouragement, and the structure to create their own change, they are – in many ways – receiving the keys to unlocking good health. I look forward to what the future holds for this work, and for the future of health and health care throughout the state. Caswell Family Medical Center (Caswell County): addressing the impact of economic instability on chronic diseases including overweight/obesity and heart disease. Hunger and Health Coalition (Watauga County): expanding and strengthening efforts to reduce obesity and diet‐related chronic diseases in low‐wealth populations with a focus on food insecurity. Montgomery County Partnership for Children (Montgomery County): combating obesity by reducing food inequity and increasing economic stability. 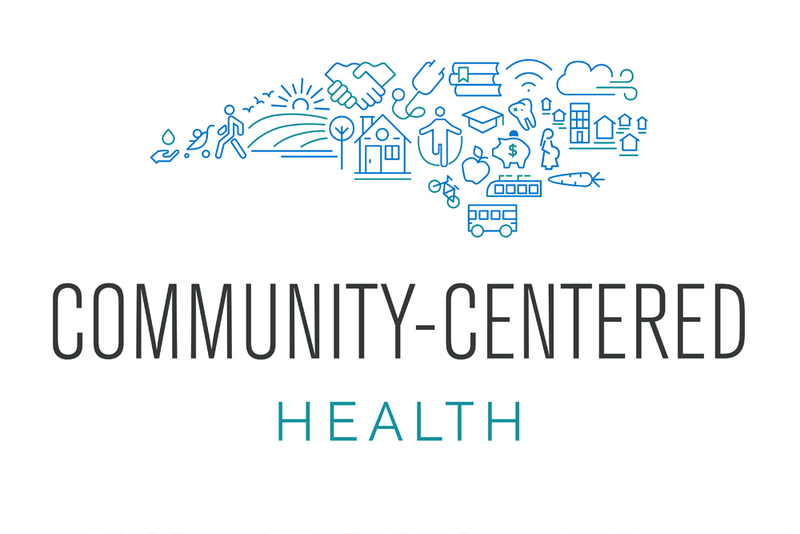 North Carolina Community Health Center Association (Alamance, Caswell, Chatham, Durham, Guilford, Harnett, Lee, Montgomery, Moore, Orange, Person, Randolph, and Rockingham Counties): addressing inequities driven by occupational hazards, poor housing, language access, lack of transportation, and health care access in the farm worker and poultry processing worker populations. Opportunities Industrialization Center (Edgecombe and Nash Counties): supporting residents to implement systems‐focused solutions for marginalized communities to reduce stressors in their physical and social environments that have contributed to a high prevalence of chronic disease and depression. West Marion Community Forum (McDowell County): driving systemic changes to reduce obesity in a rural Appalachian county by working with historically excluded residents in African‐American, Latinx and white communities, focusing on food access, physical activity, transportation, and youth engagement. Patrick Conway, MD, MSc, is president and CEO of Blue Cross and Blue Shield of North Carolina. He joined the company after serving as deputy administrator for innovation and quality at the federal Centers for Medicare and Medicaid Services (CMS). As he continues volunteering as a practicing physician in the Triangle area, Conway’s goal for Blue Cross NC is to deliver the best health outcomes and best service experience at the lowest cost for customers.